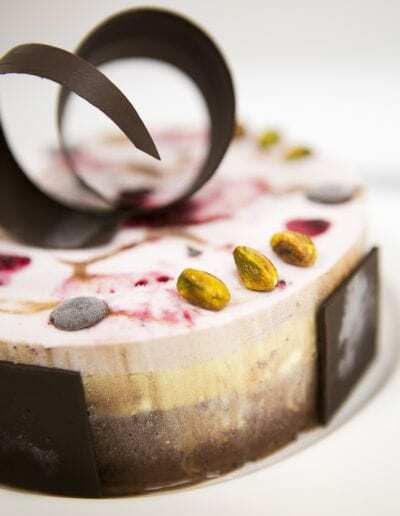 Hand crafted with love, using only the freshest & finest ingredients imported directly from Italy, an elegant Gelato Paradiso cake is just the thing to transform a special event into a memorable one. 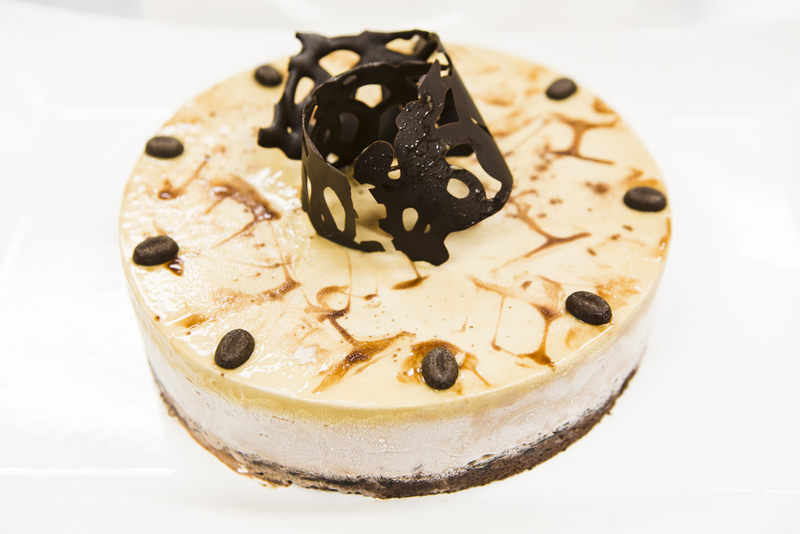 Please give us 36 hours advance notice and we will translate your vision and create your masterpiece. 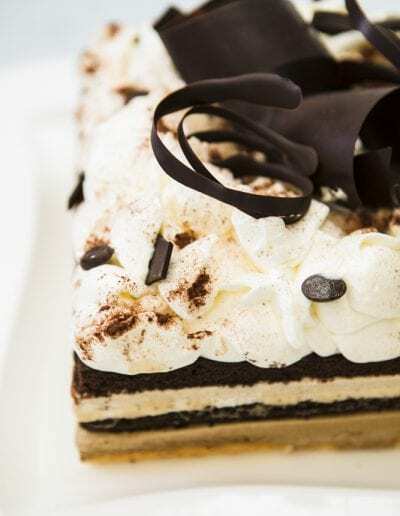 To build your cake, simply choose your cake size and shape, pick your flavors, and select your garnish and sponge cake flavor. 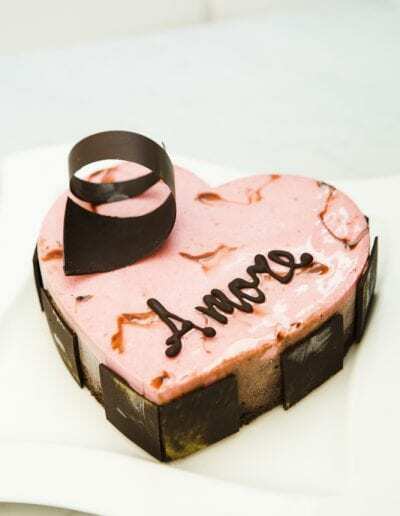 Our Gelato Paradiso crew is happy to consult with you in fashioning the ideal cake for your birthday, wedding, or other special occasion. 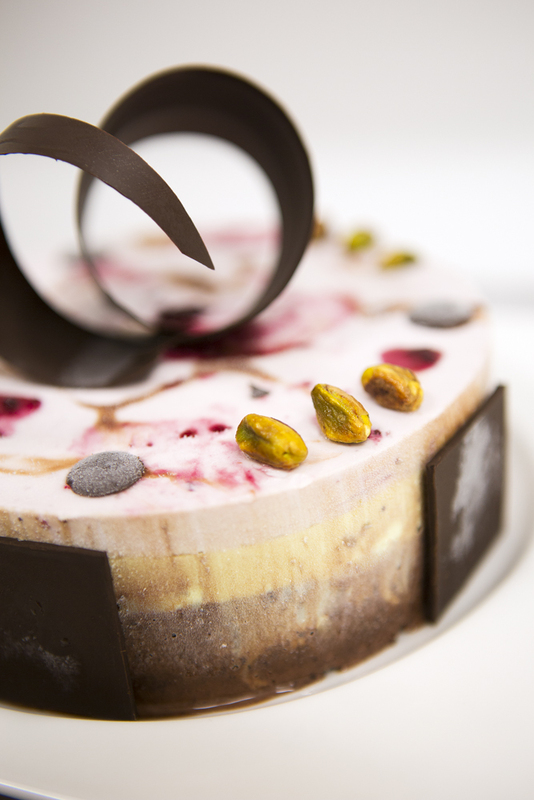 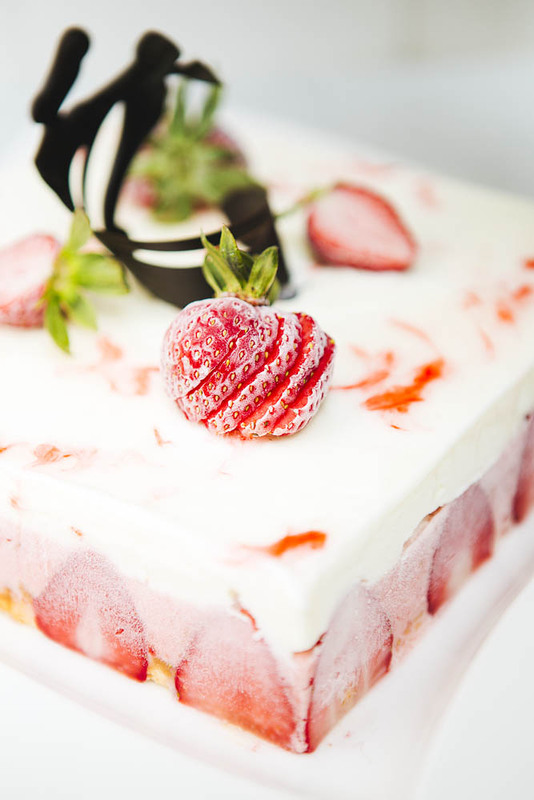 For cake orders in Orange County, please contact our Fashion Island gelateria at (949) 718-9800. 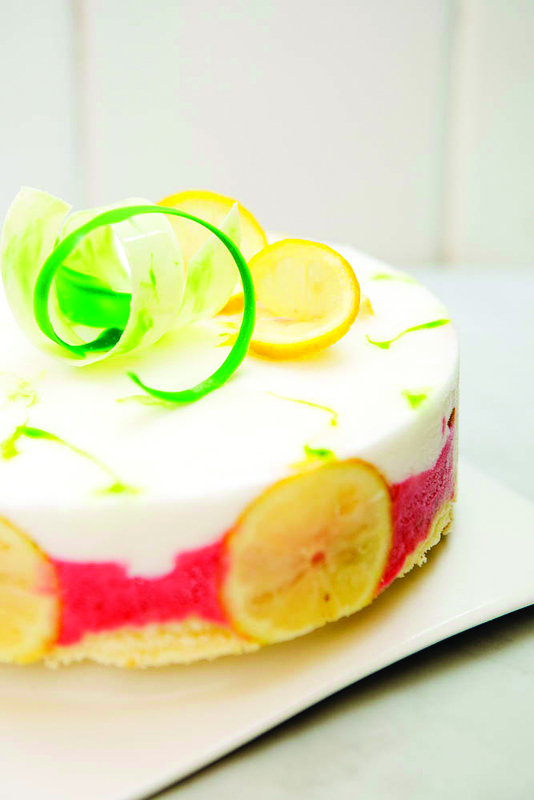 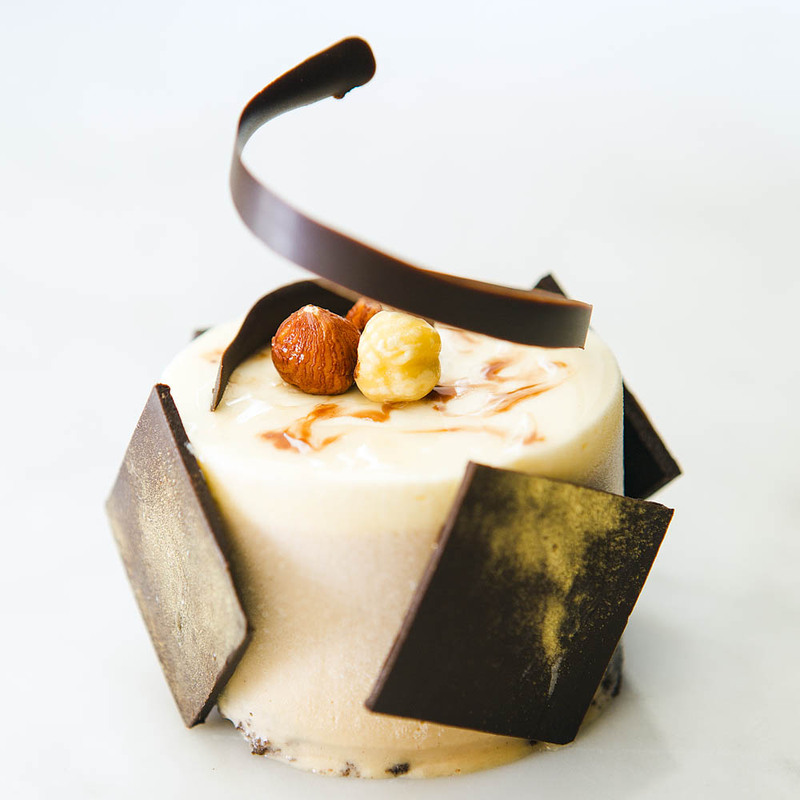 For cake orders in San Diego, please call our Coronado gelateria at 619-629-5343. 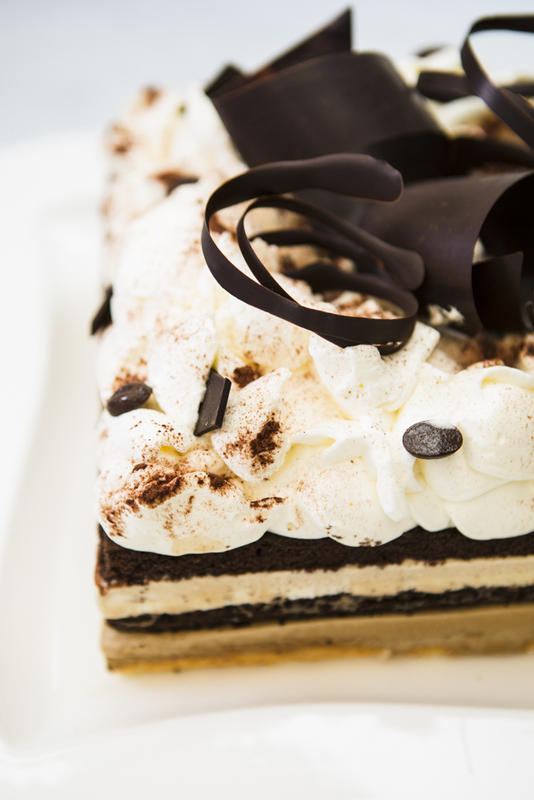 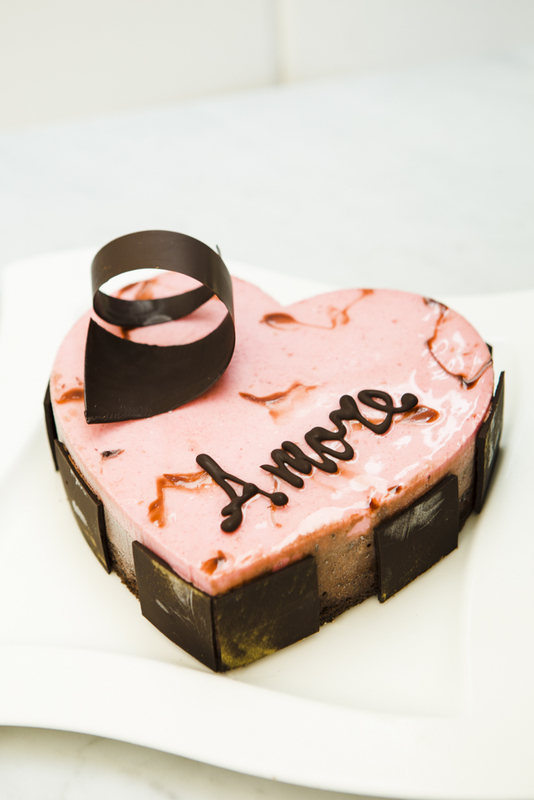 A classic heart shaped gelato cake with the most romantic of flavor combinations. 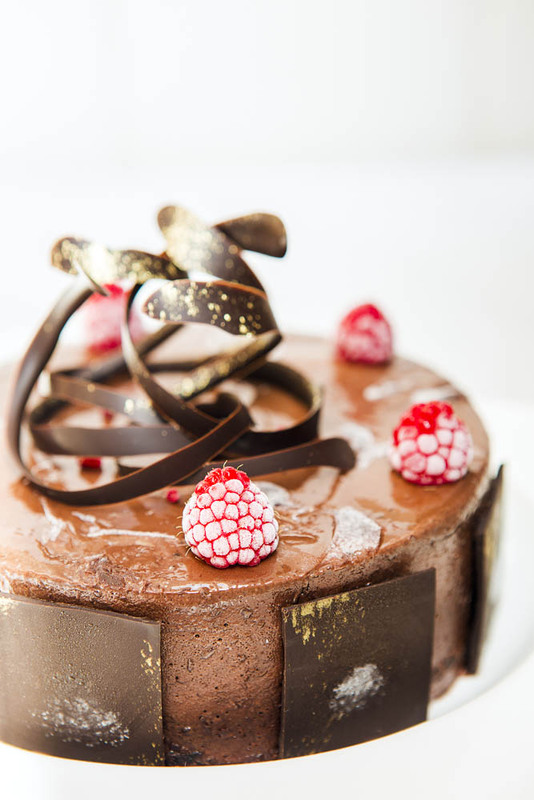 The tartness of our fresh raspberry sorbetto pairs perfectly with the most decadent double chocolate; both layered on top of our moist chocolate sponge cake. 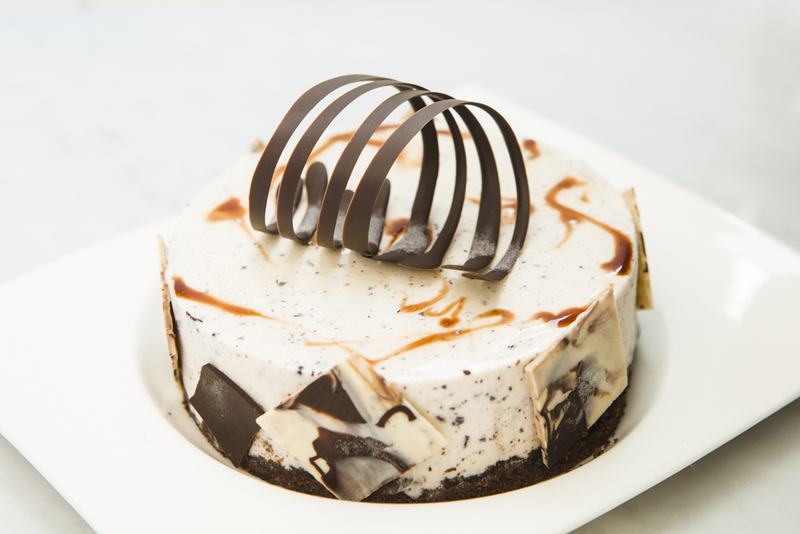 One bite and you’ll be in love! 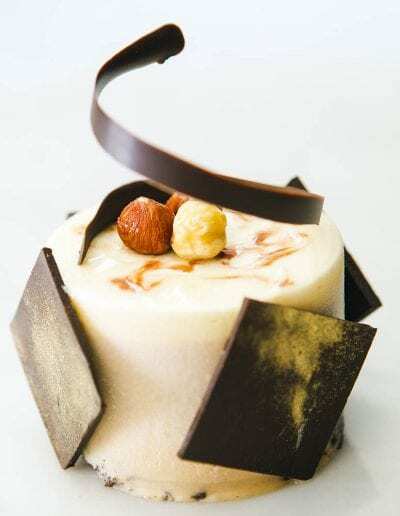 Hazelnut gelato made from the best hazelnut paste in the world, topped with our Italian cream gelato on a vanilla sponge cake, garnished with dark chocolate curls. 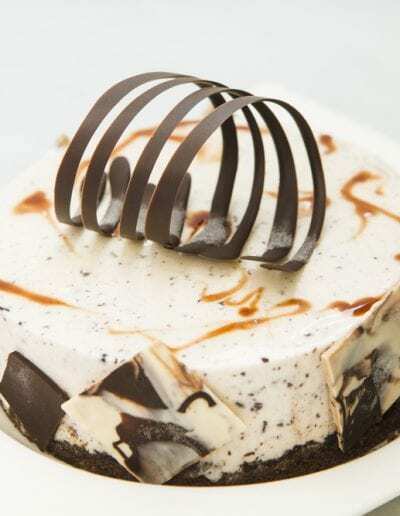 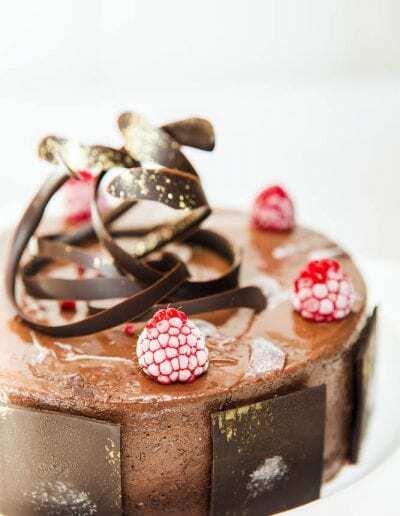 Double chocolate gelato on a moist chocolate sponge cake, garnished with handmade dark chocolate curls makes this cake a chocolate lover’s dream! 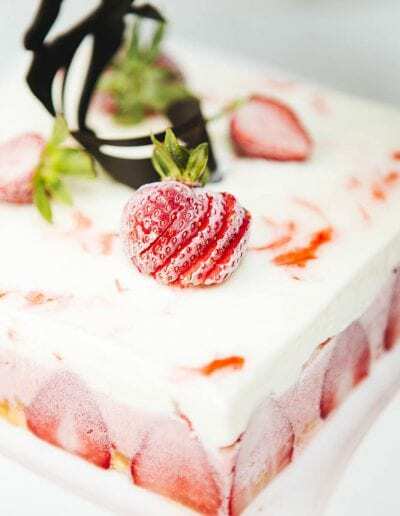 Garnished with fresh sliced strawberries, our signature square shaped cake features strawberry sorbetto with a vanilla gelato top layer on a moist white sponge for a delightfully refreshing treat! 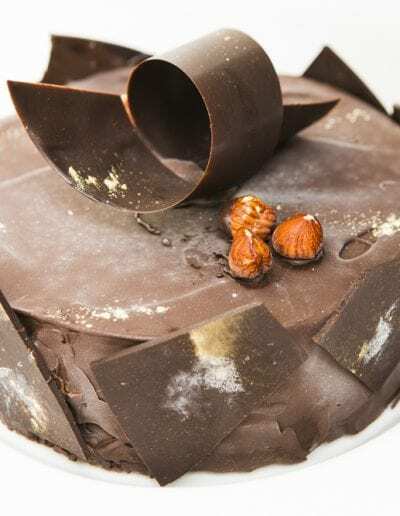 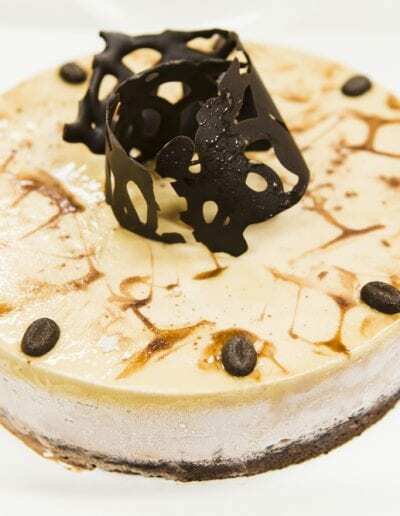 Inspired by the little Italian candy, the Bacio cake has a decadent chocolate ganache shell and is filled with creamy dark chocolate hazelnut gelato atop moist chocolate sponge cake. 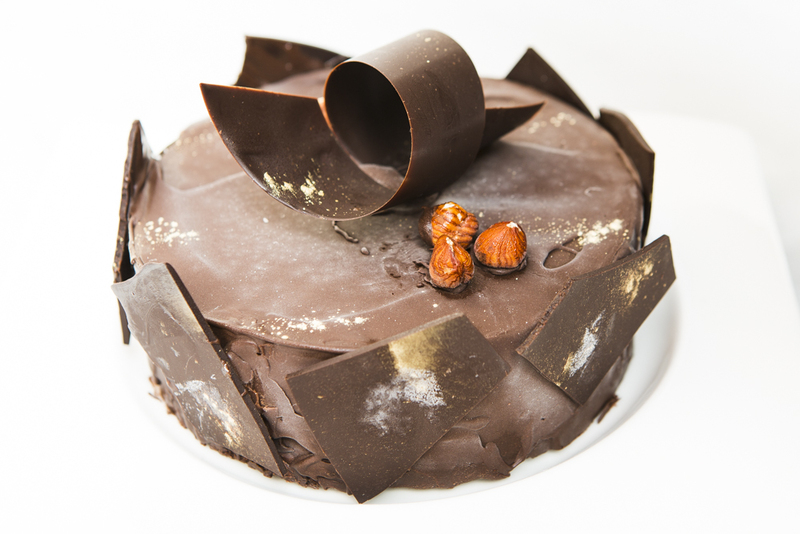 *As our cakes are individually handmade to order, please note that each will vary in appearance. 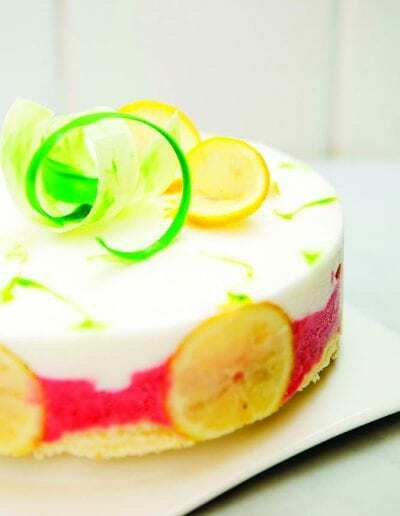 Suggested flavor combinations are pictured above in a variety of sizes.